The British Army is advancing north from the Marne, with the intention of crossing the Aisne. The Aisne is both a river and a canal, and at the village of Bourg, it is intersected by the Oise-Aisne canal as well. Before Bourg is the 4th Dragoon Guards. Here there are three bridges that cross the two canals and the river. Advanced patrols note that the two canal bridges are intact, but that the road bridge over the Aisne River has been blown. A plan is made to seize the two canal bridges, and the aqueduct, which will allow a passage into Bourg itself. The area is held by German infantry, supported by machine-guns at key points on the bridges. The commanding officer meets with his men on the south side of the Aisne canal and orders a charge on the outposts that guards the first bridge. His men are already coming under fire from Bourg, which sits on a high point, but the charge takes the Aisne canal bridge quickly. A machine gun from a building on the other side of the Aisne-Oise canal is laying down heavy fire, and the Dragoon Guards are also taking fire from a second gun on the aqueduct. At this point up rides Captain Gerald Hugh Fitzgerald, the Dragoon’s machine gun officer, dismounts his guns and soon silences the German fire. This enables the infantry to move up, cross the bridges and use the aqueduct to cross the river and enter Bourg. At this point a shot rings out from the church tower in Bourg; and Captain Fitzgerald is shot between the eyes. Troops of the 11th Brigade, 4th Division, III Corps – the left most unit of the British Army on the Western Front cross the partially destroyed bridge at Venizel in the early morning hours. On the Aisne, the fledgling Wireless Flight of 4th Squadron Royal Flying Corps is used effectively for the first time, gaining notoriety for their work above the battle of Aisne. Lieutenants Donald Swain Lewis and Baron Trevenen James in their BE2a’s are the first airmen to observe for the artillery, a completely novel aspect of army cooperation work. Within two years both men, members of the Royal Engineers attached to the Royal Flying Corps will be killed in action. Sergeant Major Norman Henry MacWhinnie MC (King’s Own Scottish Borderers) is killed at age 37. He will be one of the first 99 to be awarded the new Military Cross announced 1 January 1915. Captain Gerald Hugh Fitzgerald of the Dragoon Guards is killed at age 28. He is the only son of the late Lord Maurice and Lady Fitzgerald of Johnstown Castle and a grandson of the 4th Duke of Leinster and the 7th Earl of Granard KP. Captain Harry Stanley Toppin(Northumberland Fusiliers) is killed at age 39. He is the son of the late Major General James Morris Toppin, is a French Interpreter and served in Egypt in 1898 and the South African War. His brother will be killed in September 1917. Lieutenant Horatio John Vicat (Royal West Kent Regiment) is killed at age 29. His brother will be killed in December 1917. Lieutenant Archibald John Denroche-Smith (Hussars) is killed at age 23. He is the son of General John Bayly CB. Second Lieutenant Ingle Francis Rowley Miller (Inniskilling Fusiliers) dies of wounds as a prisoner of war received 26th August at age 21. He is the grandson of the Reverend Alexander Rawley Miller and his brother Lieutenant Alexander Rawley Miller was killed in the South African War. 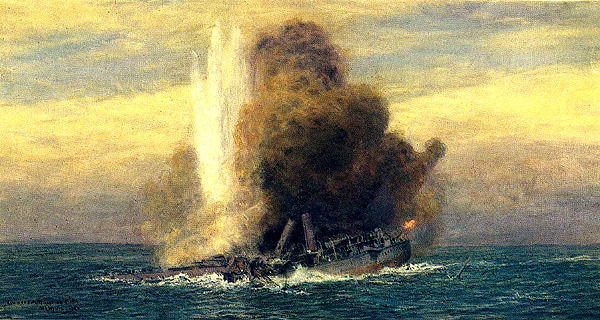 The first sinking of a warship by a submarine in action at sea occurs when the cruiser HMS Pathfinder is torpedoed and sunk by the German submarine U21 off St Abb’s Head, Berkshire and the Firth of Forth. 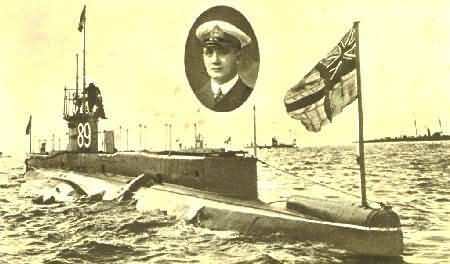 At 14:40 the German submarine fires a torpedo that is spotted by a lookout in the crow’s nest. Captain Francis Martin Leake reacts instantly with the order “Full speed, hard to starboard.” Pathfinder rolls on her starboard beam, stern deck nearly awash, as her propellers bite into the water, which turns white her engines racing to escape impending doom. In spite of Leake’s efforts the torpedo’s warhead slams into Pathfinder under the forward funnel, fracturing the steel plating and piercing one of her boilers. Superheated shrapnel punctures the bulkheads surrounding the powder magazine and ignites a massive explosion. She goes down in four minutes, taking with her two hundred and fifty nine sailors. The explosion is so massive it is seen from land and a British destroyer in the neighborhood is immediately diverted and pulls eleven survivors, including Captain Leake from the water. Officer’s Steward 3rd Class George Henry Mead is killed at age 18. He is the first of three brothers who will lose their lives in the Great War. A mine blows up the Wilson liner Runo about twenty two miles east by north from Tyne. The twenty-nine fatalities are the first non-combatants to be killed in the Great War at Sea. In the “Agreement of London”, Great Britain, France and Russia pledge themselves to make no separate peace. Lieutenant Dalrymple-Clark carries out the first British bombing raid of the war, near the Franco-Belgian border. According to the official report he “expended one bomb on about forty Germans-some evidently hurt”. The first night patrol by two Royal Naval Air Service officers (Lieutenants Claude Grahame-White and Richard Thomas Gates, the first the founder and the second is the director/general manager of the Grahame-White Aviation Company) is carried out over London after the report of enemy aircraft. Gates will be killed accidentally killed in nine days in a flying accident. Lieutenant Auriol Francis Hay Round (Essex Regiment) dies at home at age 22 of tetanus that he contracted from a shell wound received 26th August. He is the first of three brothers who will lose their lives in the Great War. He played hockey for the County of Essex and played for England against German earlier this year. He is believed to be the first hockey player to fall in the Great War. Corporal Charles Ernest Garforth (Hussars) when under fire extricates a sergeant whose horse has been shot and by opening fire for three minutes enables the sergeant to get safely away. For this action and that of 23rd August, Corporal Garforth will be awarded the Victoria Cross. An infantry brigade under Brigadier General James M Stewart arrives at Mombasa. This is the first contingent of what will be labeled the Indian Expeditionary Force ‘C’. After discussions between Winston Churchill and Lord Kitchener the cabinet agrees that the Admiralty will formally assume responsibility for home air defense. A mine sinks the torpedo boat HMS Speedy thirty miles off the Humber River in the North Sea. An officer’s steward is killed. Another mine off the Outer Dowsing sinks the hired drifter Lindsell (Skipper Charles A Woodgate killed at age 30). Four others are lost. Admiral Cradock signals the Admiralty “HMS Good Hope arrived at Fernando Noronha. HMS Cornwall is proceeding south. 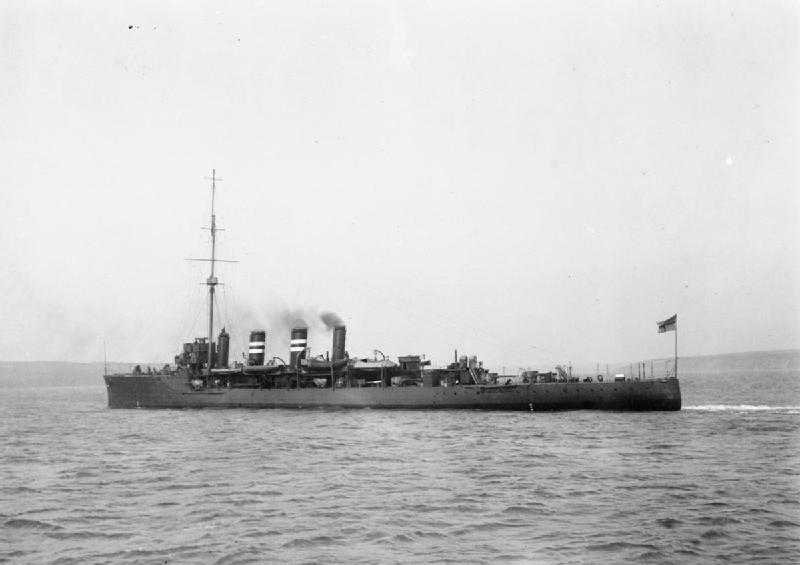 HMS Glasgow is proceeding with HMS Monmouth and HMS Otranto to Magellan Straits, where German colliers reported, and where concentration of German cruisers from China, Pacific and Atlantic appears possible”. Lieutenant Lynton Woolmer White (Dragoon Guards) dies of wounds received in action at the Affair of Nery at age 28. He is the son of ‘Sir’ Woolmer Rudolph Donati White JP the 1st Baronet. The first significant naval battle of the Great War takes place at Heligoland Bight. Commander Reginald Tyrwhitt is charged with leading the Harwich Force in a raid on German shipping located close to the German naval base at Heligoland. Tyrwhitt begins the action by sinking two German torpedo boats at around 07:00. The Germans then deploy six light cruisers in response. Finding himself outgunned Tyrwhitt calls to Vice Admiral Beatty for assistance at 11:25. 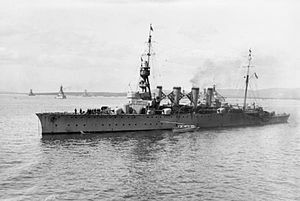 Beatty, with the First Battle Cruiser Squadron arrives at 12:40 and sinks three German cruisers and damages three others. The battle is portrayed in the press at home as a major victory, the Royal Navy having sunk three cruisers and 2 destroyers for no British ships lost. A total of thirty-fire British sailors are killed while forty are wounded. Seven hundred Germans are killed and two hundred rescued and made prisoners while another three hundred are wounded. The first recorded effective British bombing attack is carried out by Lieutenant Louis Arbon Strange of 5th Squadron Royal Flying Corps. He drops a home-made petrol bomb on a German truck near Mons. The vehicle swerves off the road and catches fire. The blazing petrol also catches the following truck on fire. Lieutenant Norman Channing Spratt carrying a few steel darts as makeshift armament succeeds in forcing down an enemy aircraft by circling around it in mock attacks. Captain Malcolm Leckie DSO (Royal Army Medical Corps attached Northumberland Fusiliers) dies of wounds received in action five days earlier at Mons at age 34. He is the brother-in-law of ‘Sir’ Arthur Conan Doyle and is the first of nine hundred three medical officers to die in the Great War. He is a descendant of the Leckies of the Baroney of Leckie and one ancestor ‘Sir’ Walter Leckie commanded the Scottish troops at the battle of Lagny on 10 August 1432 when they were defeated by Joan of Arc. He is a member of the Blackheath Hockey Club and Captain of Guy’s Hockey Club. He represented England versus France and played for the Kent Hockey Club. Lieutenant Commander Nigel Kenneth Walter Barttelot (HMS Liberty) the brother of 3rd Baronet is killed in the Battle of Heligoland Bight at age 31. His brother will be killed in Teheran in 1918 while his nephew, the 4th Baronet will be killed in action in August 1944. Major Foster Swetenham (Dragoons) is killed at age 38. He is the son of Edmund Swetenham MP and he served in the South African War. He is also the son-in-law of Colonel J W Chapman VP CB. He is the first of only two Swetenham’s to be killed in the Great War, both are cousins and both will be killed within two months of each other. Captain Reginald Walter Morton Stevens (Irish Rifles) Brigade Major (9th Infantry Brigade) dies of wounds received two days before at age 39. He is the son in law of the Reverend J C Mace and his daughter will be born a fortnight after his death. Captain John Colloyrean Michell (Lancers) is killed at age 42. He is the son of John Michell Consul General at Petrograd and served previously at Matabele in 189 and the South African War. Captain Guy Maxwell Shipway (Gloucestershire Regiment) dies of wounds received three days earlier at age 37. He is the son of Lieutenant Colonel R W Shipway JP and he served in the South African War where he was severely wounded during the relief of Kimberly. The light cruiser HMS Birmingham spots the German submarine U-15, whose engines have failed as she lay stopped on the surface in heavy fog, off Fair Isle. The crew of Birmingham hear hammering from inside the boat from attempts at repairs, and fire on her but miss. As the U-boat begins to dive, Birmingham rams her, cutting her in two. U-15 goes down with all hands. This is the first encounter between ships of the Grand Fleet and a U-boat, and the first action between surface and under surface craft in history, the first case of a submarine being sunk in such action. On Lake Nyasa, in Central Africa, Commander Edmund L Rhoades sails his gunboat the Gwendolen with its single 3-pounder gun across the lake from the British port of Nkata Bay to the tiny German port of Sphinxhaven, 30 miles away. There he opens fire on and captures the German gunboat Wissman whose commander has not yet heard that war has been declared. The plus 1 is Henri Bonnefoy a French sport shooter who was a member of the Bronze Medal winning small-bore team shooting competition at the 1908 Olympics. He is killed in action today at age 26. The first recorded British action of the Great War in Africa takes place. 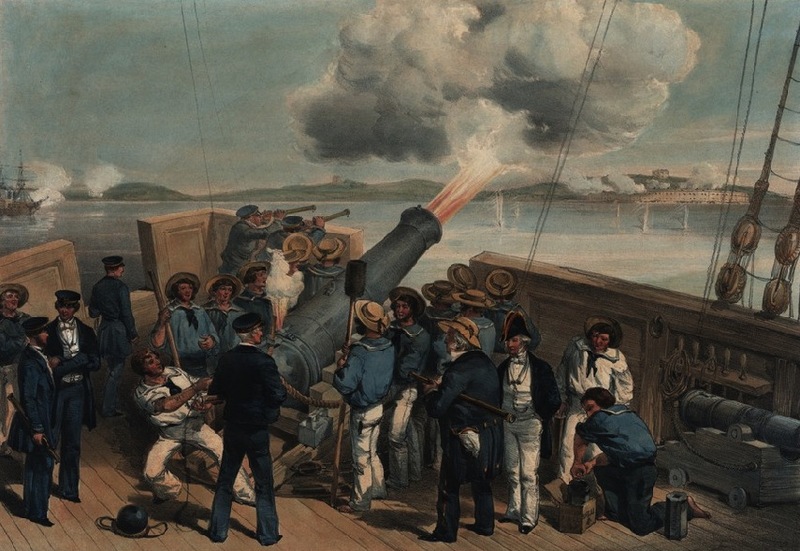 Steaming parallel to the coast, Captain Alfred Sykes in HMS Astraea lobs several salvoes on the shore installations at Dar-es-Salaam and sends an armed party into the harbor. Commissioned in 1894, Astraea is on her last legs, and her outdated armament of two obsolescent 6-inch and eight 4.7-inch weapons are of little military consequence. Still she is more than adequate for the task at hand. This is done as part of Rear Admiral Herbert King-Hall’s, Commander in Chief of the Cape Station plan to deprive SMS Konigsberg of supplies, most importantly coal. The wireless station is destroyed and the German merchantmen Konig and Field Marschall are damaged. There is no opposition and two British seamen – Thomas Cann and William Smith – lounging on the jetty, carve their names. A curious truce is signed: the Captain of the Astraea agrees that the Royal Navy will not attack the town and the local German authorities agree to refrain from all hostile activities for the duration of the war, and the town settles back into is pre-war ways. The German harbormaster hurriedly orders his floating dock towed out and scuttled across the harbor entrance. His hastily and ill-considered response provides the Astraea with a greater victory than King-Hall anticipated. By sinking the dock in the deep-water channel, the harbormaster foolishly bottles up the 8,000 ton East Afrika Line’s Tabora – thus depriving Konigsberg of a valuable auxiliary cruiser. At the same time, his extemporaneous block ship has cut the cruiser off from her vital coal supply. A similar truce is agreed upon with the German authorities at Tanga, an important coastal town 136 miles to the north. Needless to say neither the British naval officers nor the German officials possess the authority to make such a truce and the British Admiralty refuses to acknowledge the agreement and sends a stinging rebuke to Captain Sykes. A family that will lose two sons in the first few months of the Great War. Private Frederick William Toll (Essex Regiment) is killed at age 31. His brother will be killed in November of this year. Kitchener appeals for the “First Hundred Thousand Recruits”. As part of his appeal the poster “Your King and Country need you”, will be published in a few days. The first of the ‘Service’ Battalions raised by Lord Kitchener is the 4th (Service) Battalion, South Wales Borderers under Lieutenant Colonel Franklin Macaulay Gillespie. Lieutenant Colonel Gillespie will be killed in action while directing the fire of a machine gun 9 August 1915 on Gallipoli at age 42. An advance party of the BEF lands in France. Troops of the Gold Coast Regiment cross the border into German East Africa in the first British offensive of the Great War. Portugal informs Great Britain that it intends to honor its treaty obligations. Retired Rear Admiral Charles Davis Lucas VC dies at age 80 and is not listed as a Great War victim in the Commonwealth War Graves Commission web site. On 21st June 1854 in the Baltic, Hecla, with two other ships, was bombarding Bomarsund, a fort in the Åland Islands off Finland. The fire was returned from the fort, and at the height of the action a live shell landed on Hecla’s upper deck, with its fuse still hissing. All hands were ordered to fling themselves flat on the deck, but Lucas with great presence of mind ran forward and hurled the shell into the sea, where it exploded with a tremendous roar before it hit the water. Thanks to Lucas’s action no one on board was killed or seriously wounded by the shell, and accordingly he was immediately promoted to lieutenant by his commanding officer. Soon afterwards he becomes the first person nominated for and is awarded the Victoria Cross. Captain’s Cook Guiseppe Calleja a Maltese of HMS Glory dies at sea of apoplexy. Private George Hamilton of the West African Regiment, West Africa Frontier Force dies on service. The cabinet in London authorizes the dispatch of four of the army’s six divisions to make up the British Expeditionary Forces (BEF) in France. Parliament sanctions an increase of 500,000 men of all ranks in the Regular Army. On her way back to Harwich HMS Amphion strikes one of the mines laid by Konigin Luise, off the Thames estuary. The first explosion breaks her back forward, killing members of the British crew and some of their German prisoners, and then a short time later, there is a second explosion and the ship sinks in twenty minutes. The total killed is one British officer and one hundred fifty ratings, together with eighteen German prisoners. There are one hundred seventy-seven survivors. The officer killed is Staff Paymaster Joseph Theodore Gedge, the first British Officer of all fighting services to be killed in the Great War. He is the son of the Reverend Edmund Gedge Vicar of Marden who will lose two others sons in the Great War. 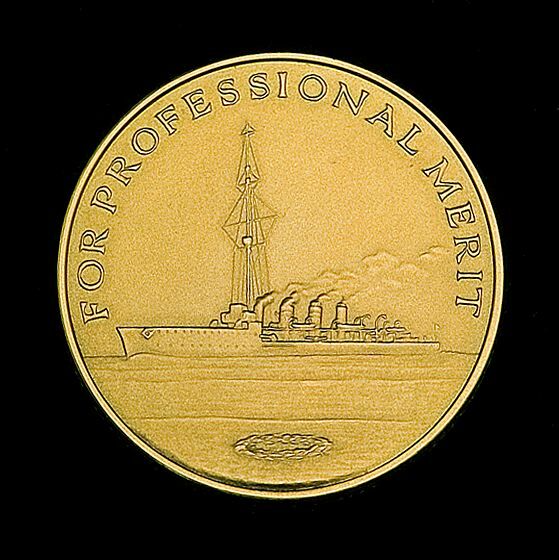 The Gedge Medal, named in his honor will be created in 1928 and is given annually to the Royal Navy officer who has passed the examination for the rank of Lieutenant at the first attempt and has obtained the highest aggregate score of the total maximum marks in these examinations during the calendar year. 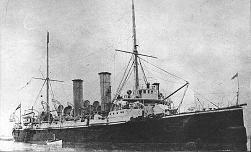 Stoker 1st Class Thomas Hamlin age 23 and his brother Leading Seaman Joseph Hamlin age 28 are both lost in the sinking. This is the first example of a family that will lose multiple sons and brothers in the same action in the Great War. Leading Stoker Henry Copland is killed at age 29. His brother will be lost in the sinking of submarine D5 in November. Also lost on HMS Amphion is Able Seaman Victor James McKey who dies at age 21. His two brothers will be killed later in the war the first in October 1915 and the second in October 1917. The King holds a privy council at Buckingham Palace, to which only one minister (the minister for works) attends. The cabinet has previously decided to defend the neutrality of Belgium, but is subsequently not consulted. The parliament of the United Kingdom never votes a formal approval of the war. At 16:00 a War Office telegram is received in the Orderly Room of the Irish Guards. The telegram reads “Get on with it!” All officers of the battalions have been recalled on 30th July as the threat of war loomed. All furloughs were also stopped the same day. On receipt of the War Office Telegram, mobilization notices are sent to every Irish Guards reservist; a total of one thousand three hundred twenty-two men. The British ultimatum to Germany expires at 23:00 and as Germany has rejected Britain’s demand that she remove her troops from Belgium, war is declared at that time. The four will include a 17-year old and the son of a family that will lose another son when he is killed in the Great War. 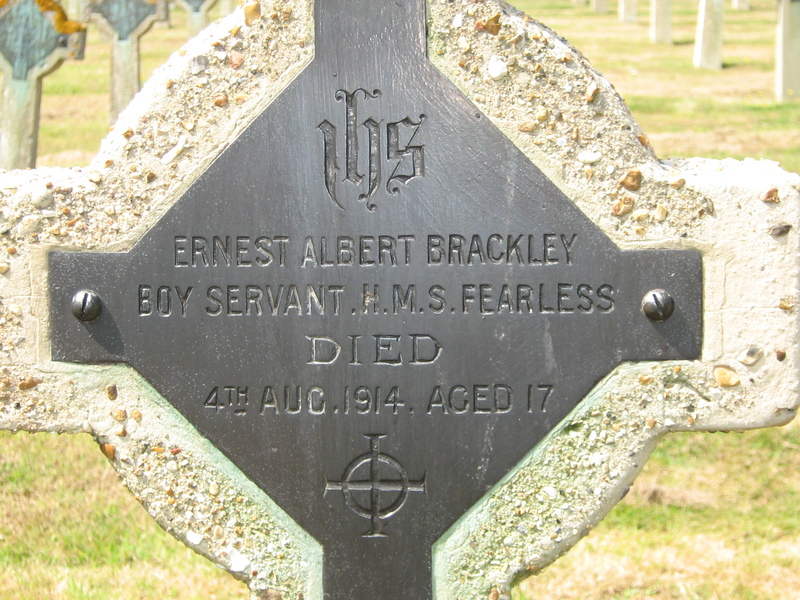 Boy Servant Ernest Albert Brackley of HMS Fearless age 17 who dies of septic poisoning. Private Joseph Viles of the Somerset Light Infantry who is 27 is killed in a road accident when he is knocked off his bicycle. He has a younger brother who will be killed in April 1918 serving the the same regiment. This is the first example of a family that will lose multiple sons and it happens within an hour of war being declared.